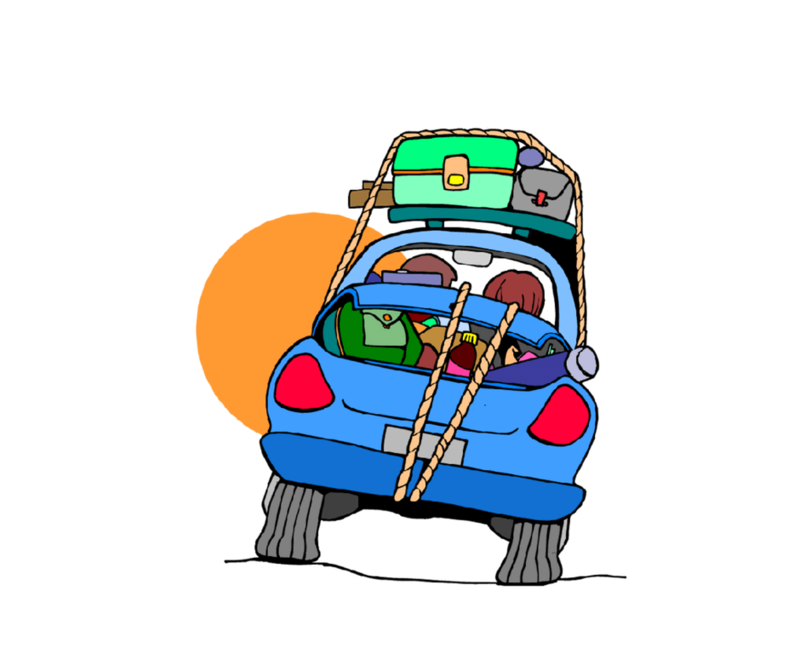 It is not that easy to reduce the list to just 8 essential camping items. But raising children is expensive enough and the idea with camping is to make it a cheaper alternative than holidays in hotels and/or abroad. So, if you are just starting out, then before you panic buy loads of equipment, do check your campsite. Campsites have come a long way in the last few years and many have lots of facilities that help drastically reduce your packing requirements. For example, there may be a picnic table right beside your pitch, showering AND bath facilities, hair dryers, cooking facilities, fire pits, washing up facilities, a food van, to mention just a few. Another good tip is to go with another family or two. Check what they have and discuss whether you could share some equipment. 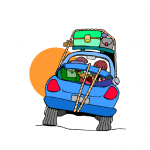 Then, tempting as it may be to buy EVERYTHING that you think you might need, rein yourself in and get only what you NEED to start with with the essential camping items. You can then build up with each trip as your experience increases. Finding the right family tent can feel like an overwhelming task as there is so much choice out there and it will be your biggest outlay. Just remember that the children will be just as happy in a small tent as a marquee. It’s us adults that tend to need more space, higher spec, etc. so if you start small, do not fear. 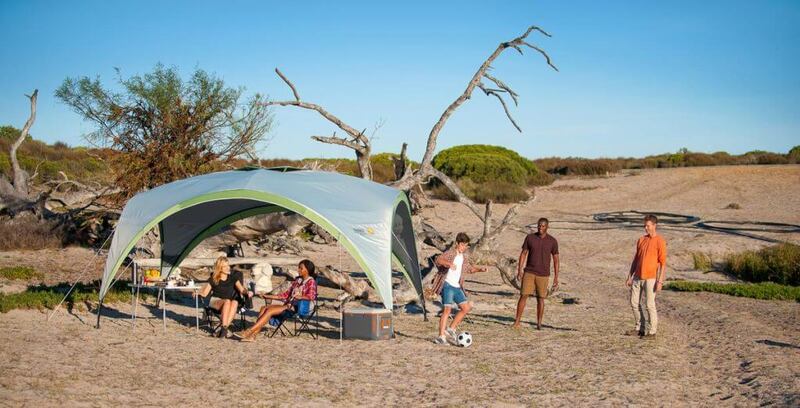 For those that prefer to pump up their tent, then you can’t go far wrong with an award winning design such as those by Zempire – winner of “tent of the year” and “best luxury tent” with Camping Magazine this year. If you would rather stick with poles, then have a look at the huge range on offer with World of Camping. A camping holiday runs a little smoother if everyone is sleeping well and comfortably! The fresh air during the day is guaranteed to help zonk everyone out at night anyway but you don’t want to wake up feeling cold and uncomfortable on a bed that deflated in the night. So, think about whether you prefer an air mattress, campbed, sleeping mat and bring some sort of repair kit for anything that involves air. Then get a high tog sleeping bag, because even when it is hot during the day, the temperature can really drop at night when you’re in a tent. If you can fit them in, bring duvets as well – it can be nice to have some home comforts! A great alternative that is comfortable and very easy to pack/carry is a Bundle Bed. As a revolutionary take on the old roll-out bed, a Bundle Bed is a self-inflating mattress, snuggly Jersey cotton sheets, moisture-wicking pillow and warm 15-tog duvet, all rolled together in a waterproof outer layer (perfect to save bedding from little sandy toes running around the tent!). A Bundle Bed can be slung in the boot of a car, on a plane, or at the back of a cupboard ready for when you need it. Just unclip, unroll, unzip, and sleep! 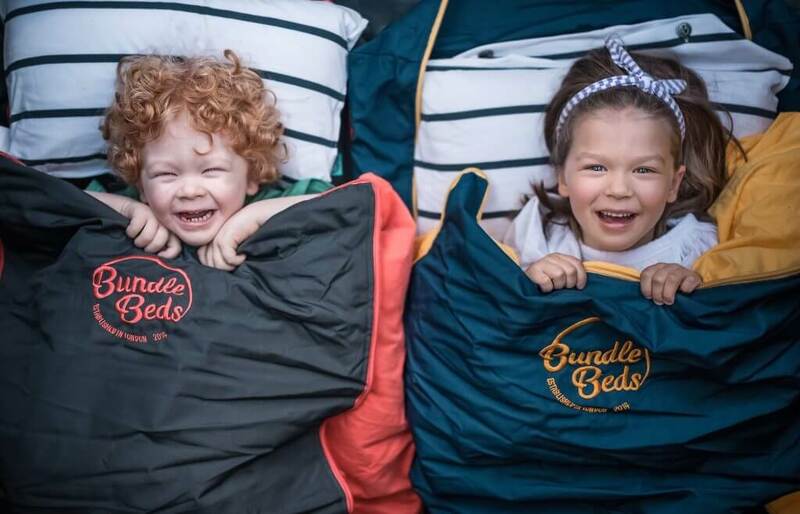 A British-designed brand, Bundle Beds set-out to bring a little simple luxury to camping, and to make visiting friends, organising kids’ sleepovers, or throwing some things in the car for an adventure, just that bit easier! When camping, you are permitted to do that most magical of things…sit down. You can even stay sitting for a while just taking in views, reading a book or gazing into a campfire. Because you are on “camping time,” there is no need to rush around and keep to a succession of appointments. So make sure you have somewhere comfortable to park your rear. World of Camping has a vast range of different chairs for all needs – little people, big people, upright, laid back, etc. or you could go for a touch of luxury with the moon base at Zempire. Before you buy a fully equipped camp kitchen, do check with your campsite what they will allow (i.e. re. firepits) or what they have available for you to use. Some campsites provide catering so you might not need to take anything at all! There are many options from portable gas stoves (don’t forget the actual gas though – we’ve managed that! ), disposable BBQs, portable BBQs or a fully converted trailer kitchen for those that want to go all out! Remember the basic safety rule of NEVER taking your stove/BBQ into your tent, even after the flames have died down, because of the very real risk of carbon monoxide poisoning. Instead, invest in an awning or simply secure a tarp over the cooking area if you want to protect it from the weather. One of the things that is very easy to forget despite being an essential camping item, is a decent light. You may want a couple in your tent that work as ceiling lights, particularly if you have young children that are wary of the dark, a portable lantern to park on your table outside at night and then to bring inside the tent later and of course, a torch for those night time loo visits. You will inevitably pack more than you need clothes-wise so try to think about the activities you will be doing and pack accordingly. Are you planning to go to the beach? Go on bike rides? Walking/hiking? Or just staying around your campsite? You are, generally, unlikely to get out of jeans/shorts so leave the posh clothes at home. Even if it is blazing hot sunshine when you set off, always pack a decent coat as the temperature drops at night and who knows what could happen with our temperamental weather! With that in mind, pack extra nightclothes – onesies, woolly PJs, thick socks just to make extra sure of being warm enough at night. Being too warm is easy to sort out, being too cold less so! You end up wearing less than you think footwear-wise as well, and shoes can take up a lot of room so it’s worth giving this some thought. You definitely need some sort of outdoor trainer or boot to protect against wet grass outside of your tent. It’s worth having some sort of indoor shoe/slippers as well to keep the inside of your tent clean and dry. Crocs are beloved by kids, especially, and they often don’t wear anything else throughout the holiday! They are wipe-clean, practical for the beach, pool, inside and out and particularly light weight when it comes to packing. 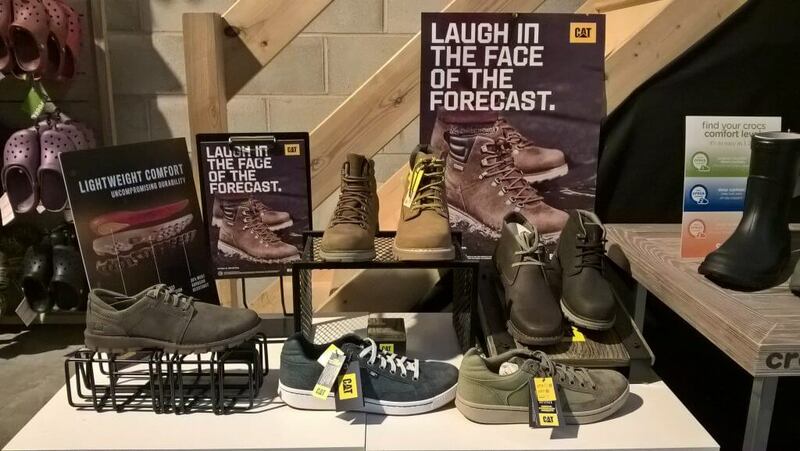 FootArt is one of the largest specialist croc retailers in the UK and are well worth a look. Now, packing for camping is a bit of an art form. We started off with one child and managed to pack it all into a bog-standard car. After child no.2, we progressed to a Landrover. Now our tent has “grown” as have our accessories and its time to look at further options. A degree in engineering seems a little excessive so we’re looking at roof boxes and trailers instead. Venter trailers are great for camping as they are lightweight, not so big that they’re difficult to manoeuvre and you won’t need a trailer licence to tow them. Most essential camping item. Some might argue that this should have been number 1.